Have a look at our enticing range of Sandstone Benches! 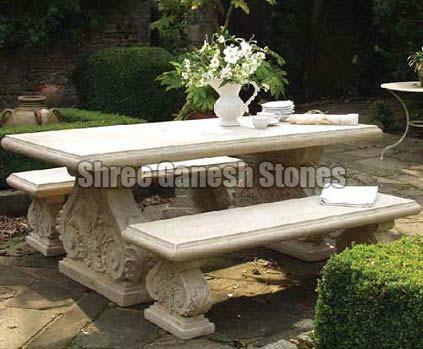 The Decorative Sandstone Benches that we bring forth are made up of top-quality sandstone. As a result, they are outstanding on terms of quality, built, strength and longevity. The Benches are easy to clean and retain no abhorrent stains. They have the ability to fight against the tough conditions and do not decay during weather. With us, feel free to place even the bulk orders of Sandstone Benches.